Sons of Norway is the largest Norwegian-American organization in the world. 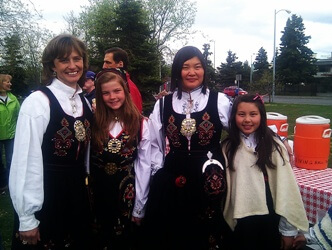 If you are passionate about preserving and promoting Norwegian heritage and culture, we invite you to explore and JOIN us at the Bernt Balchen Lodge here in Anchorage, Alaska. Everyone and every family is welcome no matter your heritage. Read and enjoy the April Flyer, here! Get the latest Lodge information by subscribing to our email list. Keep your Sons of Norway membership up to date! Find us on Facebook and connect with Lodge members.